Pursuant to the Dodd-Frank Wall Street Reform Act and ensure compliance with regards to Conflict Minerals that originate in the DRC or adjacent countries, Foremost Plastic Products Company is committed to sourcing its components and products from companies that share our values around human rights, ethics and environmental responsibility. It is our intention to establish and maintain a conflict-free supply chain. All Bobbins, parts, component or assemblies that we supply you are in compliance of the Dodd-Frank Wall Street Reform Act and do not contain Conflict Minerals that originate in the DRC or adjacent countries. Foremost Plastic Products deeply mourns the passing of Kenneth Siuba. Ken passed away at the age of 57 on May 20th, 2015 from complications after a long battle with cancer. Ken worked for Ramag Incorporated from 1986 to 1998 where he learned the intricacies of plastic bobbins and transformers. Ken then came aboard Foremost Plastic Products in 1998 as the Sales Manager where he was a mentor and an inspiration to everyone around him. Ken is survived by his wife of 35 years Gail, his daughter Kristen and his son-in-law Erik. And of course by his beloved cats Phantom and Magic. He was our colleague, he was our friend, and he will be dearly missed. We have added new Molding Presses! In order to expand our molding capacities, we have added 3 new molding presses. We have added 2 brand new Niigata 200 Ton Presses and 1 new 100 Ton Sodick Press. The new Sodick will allow for smaller and thinner walled parts. Contact us now for more information! Foremost Plastic Products Celebrates Its 50th Year of Providing Quality and Service. In an age when most American manufacturing has closed or moved production overseas, Foremost Plastic Products is celebrating its 50th year in operation this month. 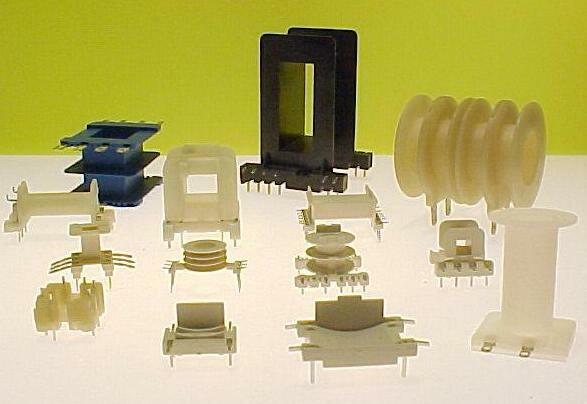 The company was founded in 1960 by Peter Muszynski and Bob Hauser as a quality source of injection molded parts in an era where plastic molding started to hit its stride. Starting out with just two injection molding presses they molded parts for the big names in the pinball industry including Bally, Gottlieb, and Williams. Through the years Foremost’s has grown into a 36,000 square foot faculty that utilizes 12 modern injection molding presses to mold over 20,000,000 parts a year. By using proprietary modular mold bases, Foremost is able to compete with overseas companies by molding multiple different parts per shot. Today Foremost is run by Peter’s son Ken Muszynski and still continues his father’s tradition of quality and service. Foremost Plastic Products is proud to unveil our new website. On the new site, you’ll have a better idea of which parts are which, and you will be able to request quotes easily. If you have trouble finding anything please contact us. Thank you.